Klicnov, Jablonec nad Nisou, Liberecký, Czech Republic. Reported 12th July. 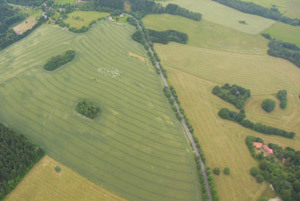 Unconventional characters in the fields - type of Morse code, and have begun to appear 24/6 - at St. John the north of Prague in the river Vltava and Elbe, the same as last year. From the highway are seen in yellow grain already in municipalities and Bořanovice Dušníky. 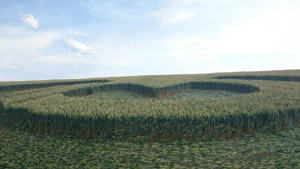 In South Bohemia, a similar phenomenon was spotted on Domažlicku near the town Stankov. 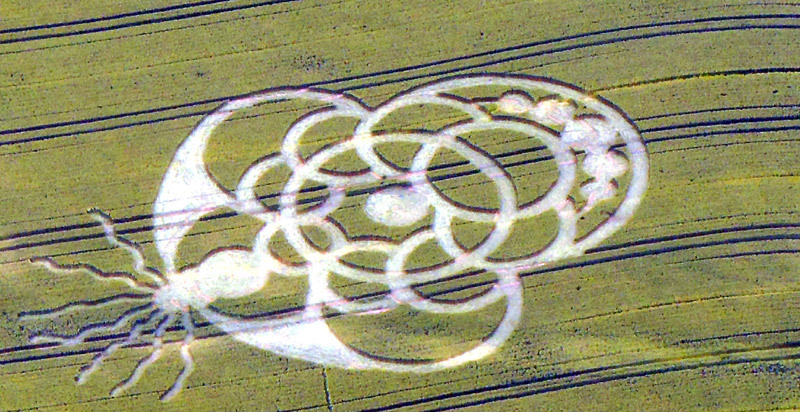 The message of Fatima's message as well Meždugorie in crop circles. The basis of faith in a being from the higher worlds - is embracing humility and love in people's hearts. The rulers of the world and the Church do not respect the cosmic order or law and human rights of man. They J for them mere puppets - manipulated according to their intentions. Through a series of military conflicts provoked chaos and migration of impoverished peoples of foreign countries.